At the age of 2, Klug moved to South Africa with his family, which is where he grew up. He gained a science degree from the University of Witwatersrand in Johannesburg, and then went to the University of Cape Town to do an MSc in physics where he studied crystallography. In 1949, he moved to Trinity College, Cambridge, and became a research student of D. R. Hartree. After gaining his PhD Klug obtained a Nuffield Fellowship to work in J. D. Bernal's department in Birkbeck College in London, and he moved there at the end of 1953. He met Rosalind Franklin and began work on the tobacco mosaic virus, along with Kenneth Holmes and John Finch. In 1962 they moved to the newly built MRC Laboratory of Molecular Biology in Cambridge. 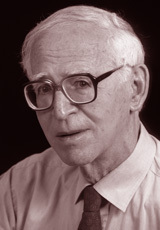 Klug became joint head of the Structural Studies Division in 1978 and was Director of the Laboratory from 1986 to 1996. He was responsible for spinning off three biotech companies, based on the research in the Laboratory. During that time he also encouraged genome sequencing, first by John Sulston of the nematode worm C. elegans, which led the way to sequencing the human genome (Anniversary address of the President of the Royal Society, 2000). The Sanger Centre in Cambridge, a spin-off of the MRC Laboratory, was responsible for one third of the human genome. Klug now continues as a member of staff, leading a research group on gene expression. He was awarded the Louisa Gross Horwitz Prize from Columbia University in 1981. He was President of the Royal Society from 1995 to 2000. He is a member of the Order of Merit of the UK, whose membership is limited to 24, a Foreign Associate of the National Academy of Sciences of the USA and of the French Academy of Sciences.